As life spans continue to increase, it's more important now than ever before to embrace a view of retirement that is more than “doing nothing” or only satisfying personal desires. In his first book in the “Future Funded Ministry” series, Bruce Bruinsma challenges Christians to embrace a common call to love and serve others during all stages of life. Discover purpose and meaning by preparing for your future calling. How do you start funding the future God is calling you to? 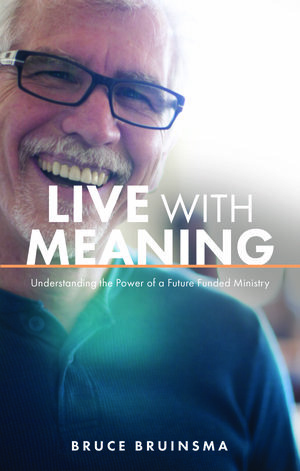 Bruce Bruinsma continues to lead you towards a future that is fully funded and ministry minded in his second book from the “Future Funded Ministry” series. From knowing how to make investment decisions to discovering your personal approach to money, Bruce unpackages and simplifies the key components to preparing for the future. Redefining what retirement could be was the first step. Now, it is time to learn how to move forward. What are you doing the rest of your life? 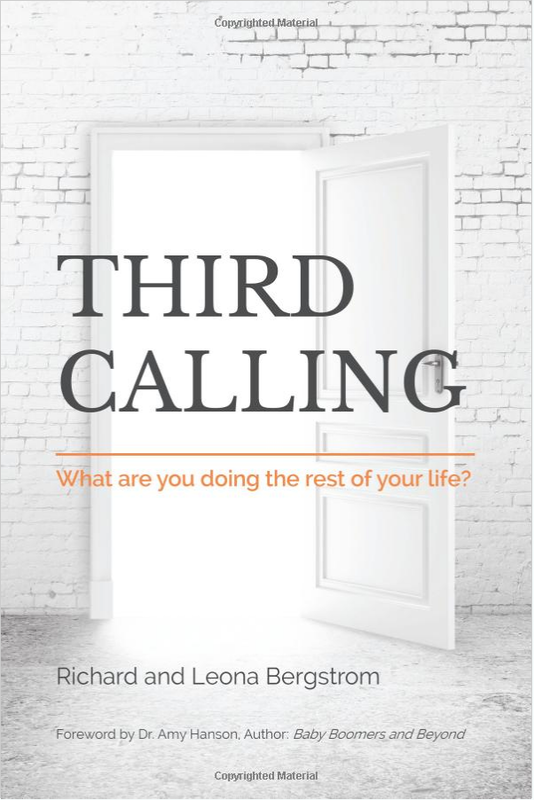 THIRD CALLING is a powerful book about finding purpose, passion and spiritual significance in a new season of life. Our "Third Calling" is a fresh period filled with possibilities and opportunities. And while God has had a plan all along, He has great things in store for the future. He uniquely designed each individual, packed lives with exceptional experiences and placed within every heart a passion for his world and his mission. Richard and Leona Bergstrom share thoughtful insights drawn from their own experiences, as well as from the lives of others. The book will inspire and encourage you and the practical steps presented will guide you through a process to re-ignite dreams and unleash new possibilities. The most basic question everyone faces in life is "Why am I here? What is my purpose?" Self-help books suggest that people should look within, at their own desires and dreams, but Rick Warren says the starting place must be with God and his eternal purposes for each life. Real meaning and significance comes from understanding and fulfilling God's purposes for putting us on earth. NAE Financial Health's self-assessment surveys will help you and your church identify areas of financial health where you’re already doing well and where there is room for improvement. Take any or all of our 5-7 minute assessment surveys to learn your Financial Health Score and discover best financial practices and valuable online resources. This is a tool for you and your church to step toward greater financial health. All survey responses are confidential.